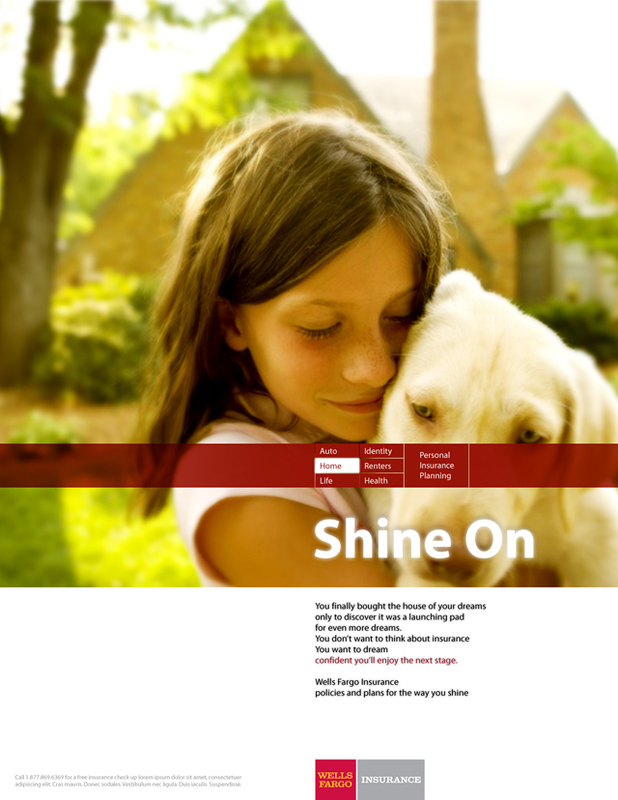 Wells Fargo Insurance - BrainstormOverload - Small design studio. Big ideas. 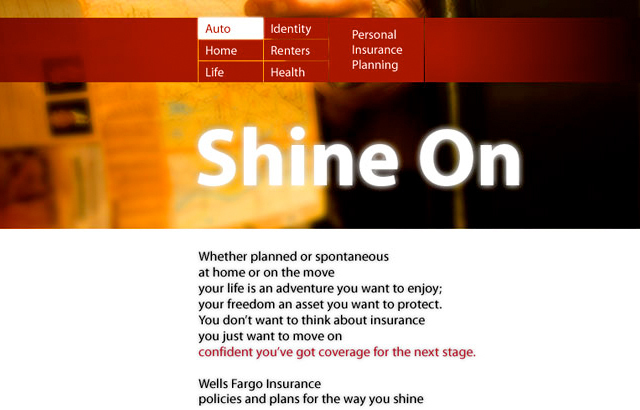 Todd had the opportunity to concept, art direct, design and write the copy for his pitch to Wells Fargo Insurance. Called “Shine On” it became Periscope’s recommended direction. Insurance is a difficult thing to sell by interrupting someone. This concept worked by empathizing with real situations and keeping the tone and language sincere rather than using fear or humor. 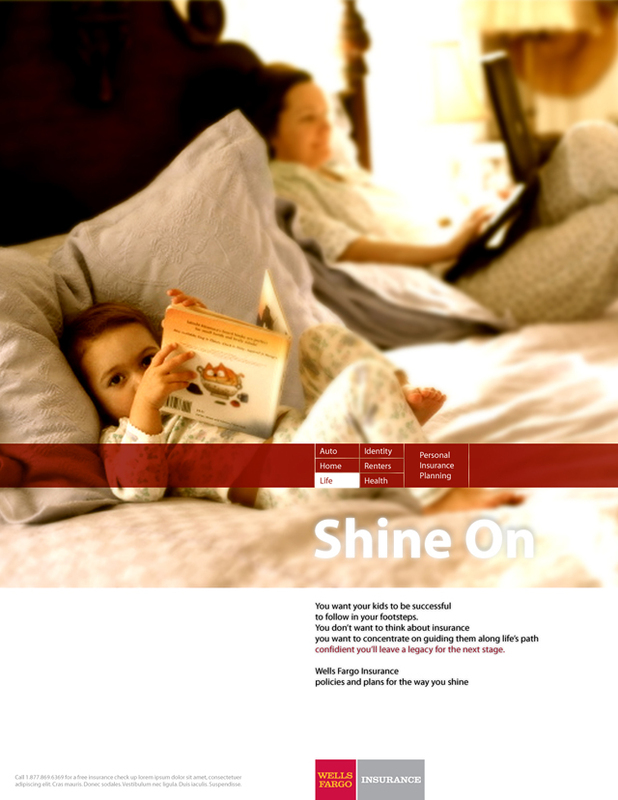 The pitch for a fully integrated campaign included print, micro-site, banner ads, html email, etc. 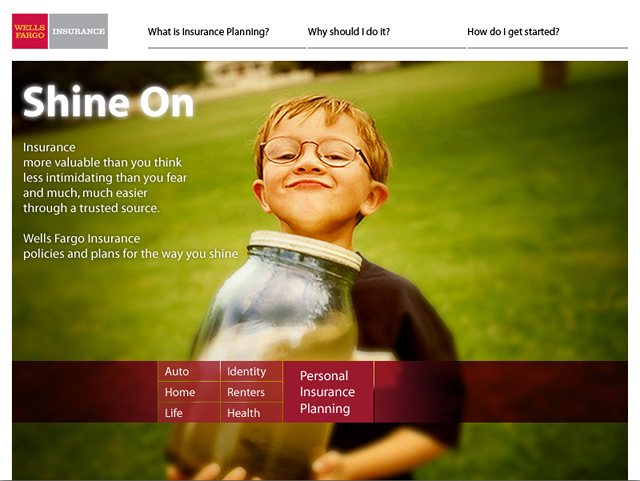 all of which were unified by an element that, like website navigation, served to identify each insurance category while simultaneously alerting the audience to the importance of a comprehensive approach.